2. 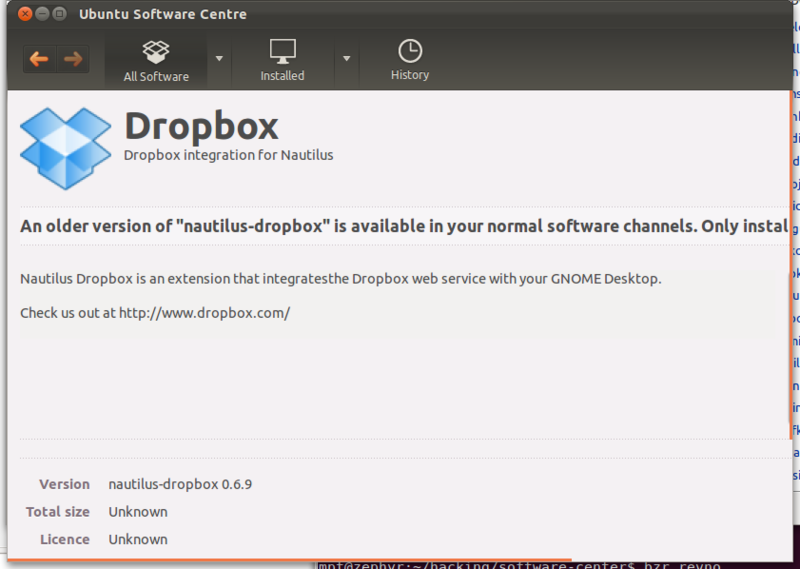 Click on the Ubuntu download link, and choose "Open in Ubuntu Software Center". That is, two strings are concatenated into one ribbon, and they don't wrap. A minimal improvement would be just to make the existing text wrap. the linked branch has the simple line-wrap fix. Could be of interest as far as rewording the warnings or designing an alternative dialog.